Take the guesswork out of what customers are searching for on Amazon. 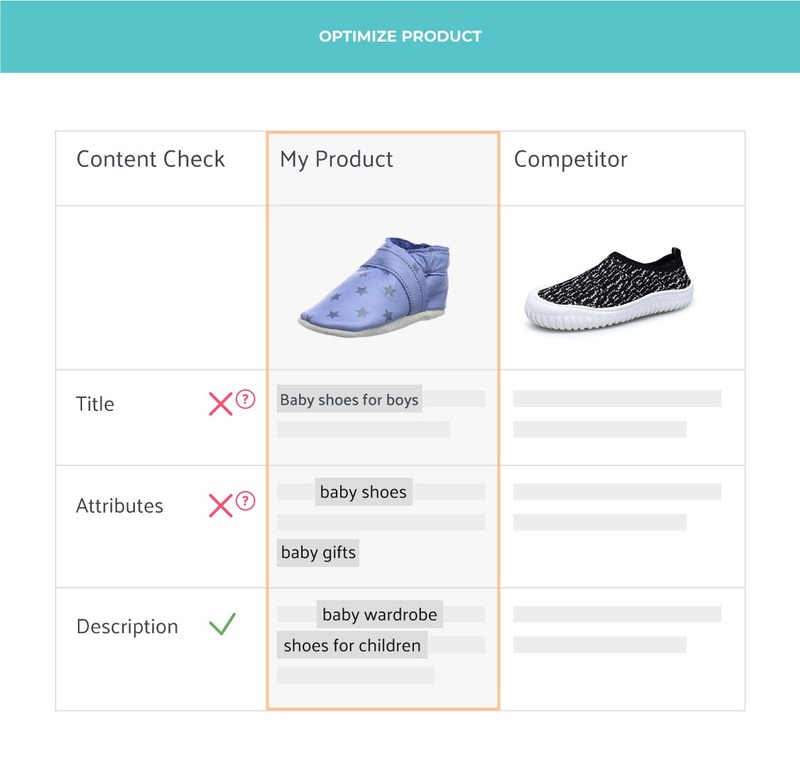 See immediately which product listings need improvement, and fill in the content gaps using our listing optimizer. Monitor your keyword rankings and see how your optimization efforts affect your rankings over time. With over 180 million Amazon keywords in our Sonar database, we make it easy for you to know exactly what customers are searching for on Amazon. Prioritize your keywords using our Amazon search volume indicator, rank for more relevant keywords and watch your sales skyrocket! Immediately see which product listings need improvement. Get recommendations for changing your product title, bullet points, description and Seller Central backend search terms. Compare your listings against competitors. Learn to outrank your competition by monitoring the most successful Amazon merchants. Monitor how your keyword rankings develop over time, and see if your optimization efforts have a positive impact on your keyword rankings and BSR. Track your listing changes and perform A/B testing to see how your optimization efforts affect your ranking performance. 90% of customers will make their purchase on Pages 1-3 of Amazon search results. If your product is not visible here, you will lose the bulk of your sales. By actively optimizing your product listings, you can improve your keyword rankings and boost your visibility in Amazon’s search results page. The higher your products rank on Amazon (and the more keywords they show up for), the more products you will sell. Your keyword rankings directly affect your bottom line!